Hang on to your hat, close that door and bring grandma inside. Forecast for tomorrow are for heavy, I say again, heavy winds. Forecast for tomorrow 03JAN at 09:00 UTC, winds at surface level. Same at 250 hPa, about FL340. Seems like a sporty arrival tomorrow morning, fortunately in the nose though. Have all a safe flight. Click on "earth" in lower left corner to reach the controls. KLM cancels 52 return flights on 3 January because of the storm mentioned in the above posts. Thanks for the link. This is very nice site. Since being a member of Luchtzak/Aviation24 I have seen very interesting posts on the Latest News Commercial Aviation forum. Good news - it was just reported that there were Zero deaths in 2017, the best and safest year on record! Pilot 'SLAPPED' his co-pilot girlfriend during a furious cockpit fight that saw her flee to the cabin in tears on a London-Mumbai Jet Airways flight. Repeat: this topic is Trivia, not trivial news. But this story, which isn't trivial at all, doesn't really needs to be discussed much. Hence I've posted it here. I was looking for a forum topic on the British Airways Boeing 777 that crashed at London Heathrow exactly ten years ago but didn't find a topic. In fact, there was a topic about the incident but on August 2008 I was doing some database works and accidentally removed the existing database. In one click I removed all the forum topics and messages that were posted between November 2007 and August 2008. BRU also affected by the strong winds. 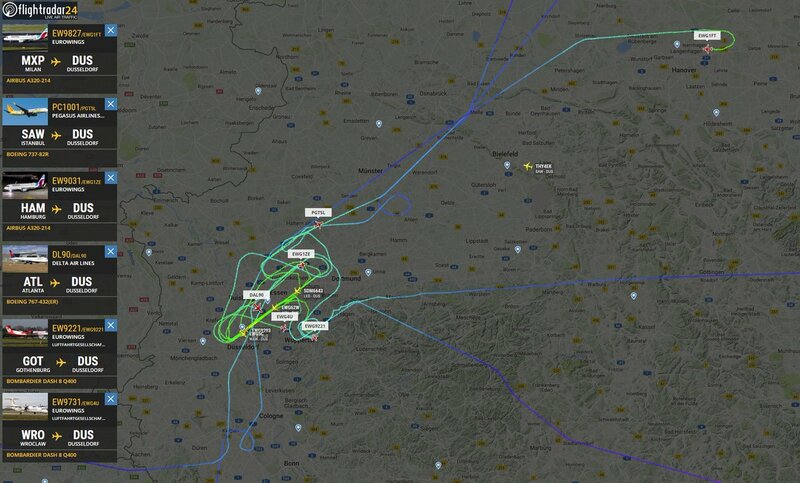 Multiple missed approaches, and possibly some diversions. If “Safety was not at any time compromised”, why adopt a brace position for landing ? Pope Francis marries two flight attendants at 33,000 feet and that’s a first! Andrew Fisher, vice president fleet planning at Etihad Airways, has smashed the world record of flying around the globe in the shortest time frame with the fewest number of sectors. The previous record was set at 55 hours and 47 minutes, now Andrew has done it in 52 hours and 34 minutes (in four sectors). Anyone else for an attempt ?